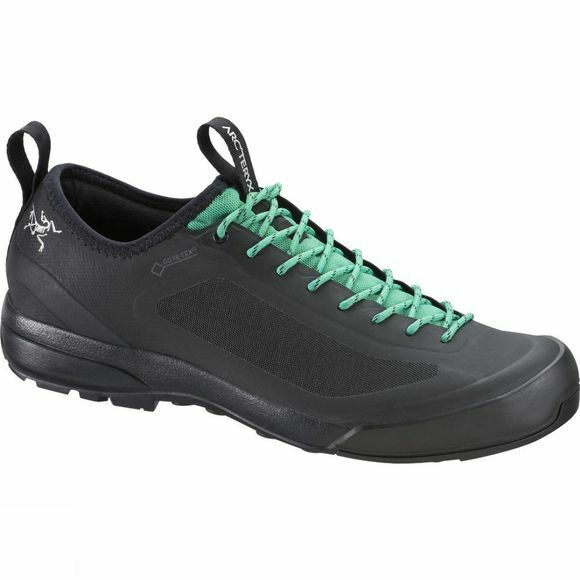 The Womens Acrux SL GTX Approach Shoe from Arc'teryx is ultra-Light and agile, the Acrux SL GTX is a versatile approach shoe for technical terrain. Gore-Tex protection combines with advanced technologies for optimal fit, agility and traction. The Adaptive Fit Lite design’s zonal stretch shapes to the foot for an exceptional fit and improved Gore-Tex breathability. The hydrophobic upper is exceptionally abrasion resistant, and the Vibram tread design provides traction while climbing without sacrificing ease of stride on flats.